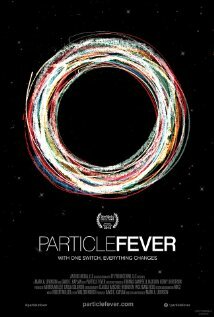 Particle Fever is a science documentary film that unmasks the deception behind modern particle physics in the course of making a documentary about the Large Hadron Collider or LHC and the claimed discovery of the Higgs Boson. The film takes us into the world of particle physics, its people, its machines and its human self deceptions, in a way never seen before in a documentary film. We meet the people behind the particle physics story and discover that they have created a self deception, a psychological delusion, that they are engaged in discovering the secrets of the creation of the universe through physics. It is a powerful delusion and the film is presented in a way such as to draw the audience into the illusion and allow them to participate vicariously in the attempt of particle physicists to make the most important physics discovery in all of human history. Yes, indeed, it is a grandiose dream that is being recorded on film. But, if we are to be honest, we must ask, is this a practical goal or just a delusion created by a privileged self indulgent intellectual elite with little common sense? Oddly enough, we are not told at the beginning of the film just exactly what this discovery is going to be. It is a kind of Catch-22 in reverse. The audience is assured by film maker David Kaplan, the film’s producer and one of the main characters, that no matter what happens, that mankind will learn something astonishingly important. Hence, there can be no failure, and no mater what the result, the storehouse of human knowledge will be increased by the result. What are the delusions that we find in the film Particle Fever? It is a good question, and on the surface we don’t see them easily revealed, because we are socially conditioned to accept the ideas and illusions that the delusions are predicated upon. The primary delusion that particle physics scientists, and almost all other scientists, promote is that science deals in absolute truth. That is the scientific community and in particular particle physicists and physicists in general, proclaim their justification for what they do by promoting the concept that they are producing the truth of what the universe or the natural world really is in terms of absolute truth. That is they proclaim that they, and only they, are capable of learning what is really true and that everybody else is not smart enough to do that. Hence, because they are discovering the true laws of nature, the expense involved in doing that is unimportant, because you can not put a price tag on absolute truth. The following enumerates the particular delusions that are exposed in the film if it you pay close attention and watch and listen carefully. First, is the basic fundamental delusion mentioned above, from which the others follow. This is the idea that science deals in what is really the absolute truth about nature and that because of science and the scientific method, we humans can know what is absolutely true. Second, is the delusion that humans can discover and actually know the absolute truth through mathematics, because the world is fundamentally just mathematics. Hence, really smart people who know mathematics can discover the absolute truth of the mathematical universe. Third, that absolute truth can be proved through spending billions of tax payer funded dollars to build machines capable of doing experiments that verify or prove to us that the mathematical theories invented by physicists are indeed the absolute truth. Fourth, is the delusion that no matter what it costs in economic terms, there is no price that can be placed upon truth, because it is the most important human value there is and so its attainment is priceless. Fifth, Because particle physicists, and only particle physicists deal in the absolute truth of nature, that makes them smarter and more important than anybody else in the world. Hence, they ought to be paid to discover the absolute truth with no guidelines or restrictions because that is the only way they can discover truth effectively. The last delusion, is perhaps the most troubling because the particle physicists themselves don’t seem to be aware of the shameless self promotion that is exposed in the film. They are shown worrying that they will not live long enough to have their theories verified by the LHC experiment and so they might miss out upon winning the Nobel Prize. My gosh, really? They are worried that that their careers might be wasted and their lives lived without discovering some important absolute truth? In relation to the lives of billions of other humans living their lives in quiet frustration, they have the gall to actually say this while being filmed? It is quite a display of a surprising lack of humility. The film doesn’t address the real problem that is faced by modern science today. That is whether the scientific method actually produces truth. That is in order to know the truth, there has to be some criteria for proving things. That procedure is called scientific method. However, it is apparent from the film that particle physicists don’t use a rigorous form of scientific method, they use a much simpler criterion. That criterion being can they find a particle. That is they discover the existence of something called an elementary particle and then they try to put that particle into a theory called the standard model. This modified scientific method is evident in the film , but it is not really examined. What we hear form the scientists is talk about truth and proving theories and that a theory is proved by finding a particle. It is only towards the end where we find that it matters just what the characteristics of the particle are. The most important property we learn is its mass measured in units of GeV. The really important issue that is revealed by the film is that, if we pay attention, we discover that particle physicists are using the scientific method backwards. In the usual or more traditional approach, the method was to develop a theory and then based upon the theory to make a prediction as to just exactly what the measured result is. The procedure is then to measure the result and compare the measurement with the theory. If the measurement and theory agree as to the measured results, the theory is declared to be truth or absolute truth is produced as a result. This is supposed to be how the process works. But in the film Particle Fever the conclusion is that none of the theories were confirmed by the measured results. But they declared that the Higgs Boson was discovered anyway. The viewer is obviously not alerted to the fact that there was actually no confirmation of the claimed Higgs Boson based upon any of the theories. That is the measured result refuted the theories that predicted its existence. However, we see the particle physicists at CERN congratulating themselves anyway. This is a curious result and deserves explanation. Yet there is none given. That is because modern physics is being done backwards. That is the theories, the so called laws of physics that are claimed to be absolute truth, are invented after the results are in for the experiment. In other words the theories are reinvented to fit the results of the experiments, in hindsight. So the scientific method is not actually being used at all. If it was, the experiment should have been a total failure. That is because when the data came in, the supposed Higgs Boson, did not appear where it was supposed to according to any of the theories. By the traditional method, that means that the discovery did not represent the Higgs Boson as envisioned by the Standard Model. Put differently, the discovery did not fit any of the predictions. Hence, at the end of the film David Kaplan is driving home and in a scene reminiscent of the ending of Gone With The Wind ruminates for the camera about the results of the discovery. He admits frankly that none of his theories are verified by the result. But just as Scarlet O’Hara does in Gone With The Wind, he realizes that he can make lemonade out of lemons. The result, while it disproves all of his theories, opens the door to new possibilities and new discoveries, because tomorrow is another day. The film fades out, and we wonder is that really possible? That is, are new discoveries just waiting for us humans to find? Yes! That is the new hope of physics. But this is not how science is supposed to work. In the ending of the film, it seems that the truth is as elusive as it was before the LHC was built, but a lot of people got paid to work on finding absolute truth. They raised their families and grew old. The result proved that absolute truth is elusive, and we humans are always on the threshold of discovering the deep secrets of the universe, but that has to wait for another time and another generation, since tomorrow is always another day.